Looking for ways to take your STEM programs to the next level? Check out meeperBOTs! 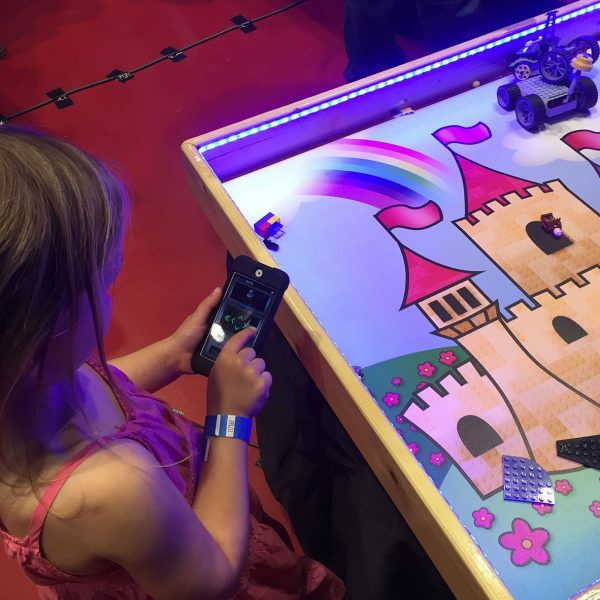 These mobile-app-controlled motorized BOTs bring LEGOs® to life while teaching skills like engineering, problem solving, critical thinking and even basic coding. 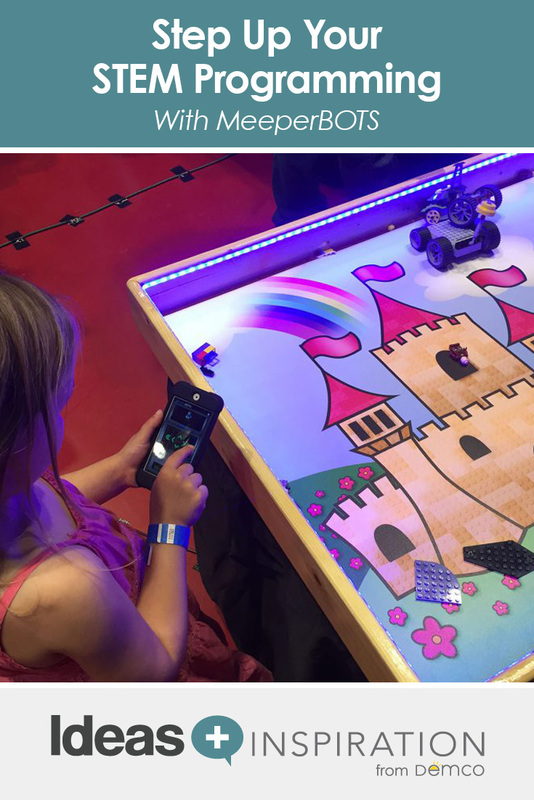 Here, Holly Storck-Post, youth services librarian at the Madison Public Library in Wisconsin, shares one of her tried-and-true meeperBOT programs that is sure to capture your young makers’ interest. In a public library, parents should stay to help the kids. Place the cups, foam blocks or other building materials on the floor in an open space. LEGOs should be in another area. Divide the kids into groups of 2–3. Explain that they are going to be building towers or other structures and then knocking them down with their BOTs. Remind kids that they should only knock over structures created by their group, not those of other groups. Kids will take turns in their groups being in charge of driving the BOT using the app. 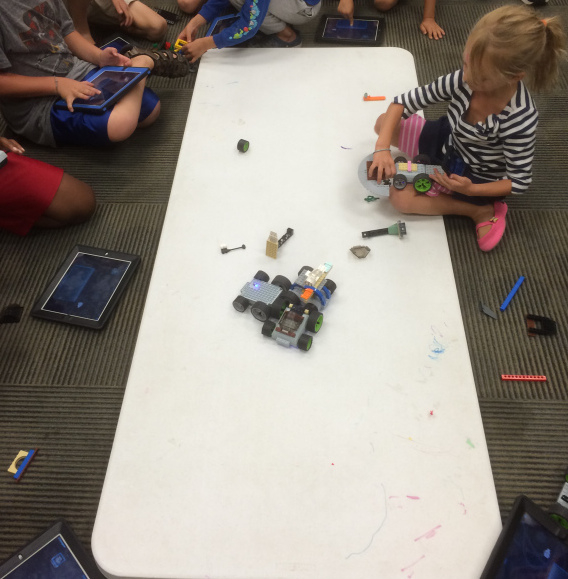 Hand out BOTs and give the kids 10 minutes to build on the BOTs with LEGOs. Once groups have a destruction BOT constructed, let them build towers out of the cups or foam blocks and knock them down with their BOTs. Encourage them to build multiple towers of varying sizes with different materials. As groups build towers and knock them down, lead a discussion about which kinds of structures are easiest to knock over and which ones are most challenging. Then give groups a set time (e.g., 1 minute or 2 minutes) to build the tallest/strongest/largest tower. When time is up, call “Stop!” and let a driver from each group knock down the group’s tower. Add a read-aloud at the beginning of the program. Ask kids to look through display books for inspiration before they begin to build. Some kids may want to spend more time building on their BOT. If you don’t have many BOTs, this will monopolize a BOT that could be used for driving. Offer each team a timed challenge for building, and then make sure they all move on. For kids who want to keep building, offer a LEGO building plate that can be attached on top of a BOT when it is their turn to drive.